Sometimes, a reproduction looks so interesting (and feels so good) that you have to stare in wonderment. 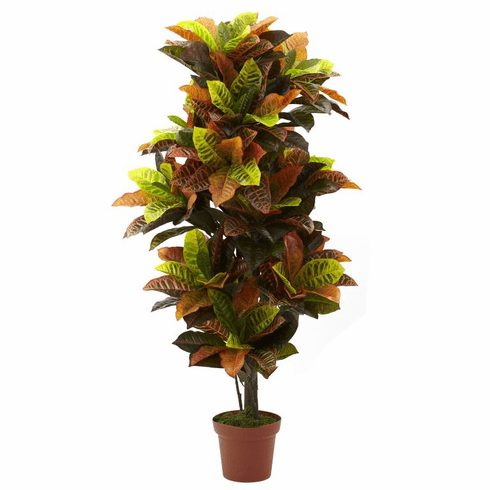 That's the feeling this Croton plant permeates - just take a look at the deep, rich color palette, combined with the soft, billowy look. Then reach out and touch it - because it's RealTouch it feels every bit as good as it looks. Makes an ideal accent piece in the home or office, and makes a great gift as well. Height= 56 In. X Width= 28 In. X Depth= 28 In.